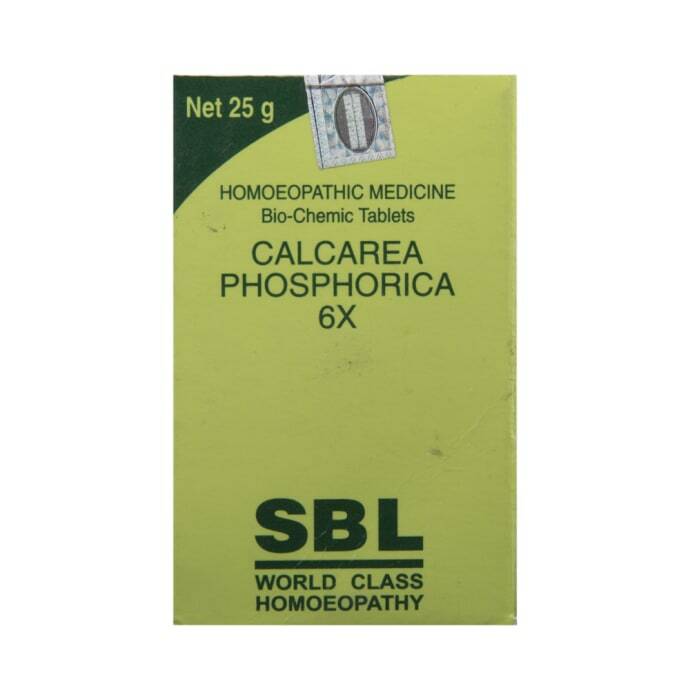 SBL Calcarea Phosphorica Biochemic Tablet is a tissue salt remedy that has the basic elements required by the body physiologically that are calcium and phosphate. It is basically important for the normal formation of new cells and its absence or unavailability may result into problems related to normal growth. This remedy is specially indicated for complaints during dentition and bone problems. A licensed pharmacy from your nearest location will deliver SBL Calcarea Phosphorica Biochemic Tablet 6X. Once the pharmacy accepts your order, the details of the pharmacy will be shared with you. Acceptance of your order is based on the validity of your prescription and the availability of this medicine.